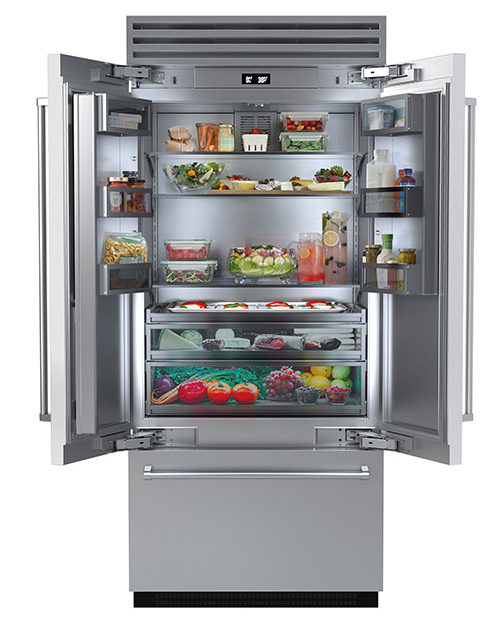 BlueStar is introducing a new French Door model to its built-in refrigeration line. With durable stainless-steel interiors, dual compressors for enhanced food preservation and roomy interiors, the BlueStar Built-In Refrigeration Line is made for serious cooking and entertaining. “We first learn about the target customer and develop a few key elements that are critical to the product. As our product is a kitchen appliance, we look to people who use these appliances to get feedback about what is desirable. This includes listening to kitchen designers, professional chefs, home cooks and other food prep enthusiasts who just know what they want in the kitchen and provide valuable insight.